Who should Liverpool want to face in the Champions League semi-finals? 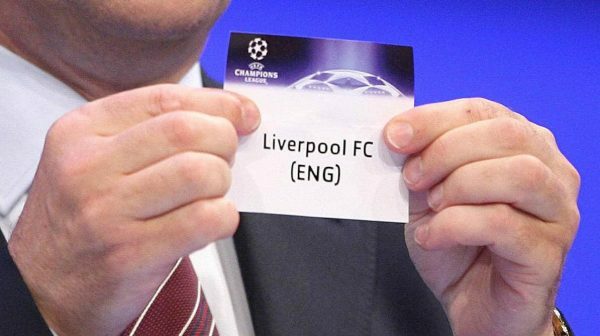 Liverpool are in the Champions League semi-finals and now know the three other sides who they could face—but which should fans be hoping to draw? While the Reds saw off Man City in their quarter-final second leg on Tuesday evening, AS Roma were completing the most improbable of comebacks against Barcelona. The Italians briefly looked as though they’d be joined in the last four by Serie A rivals Juventus, who pulled back from three down against Real Madrid—only for the Spanish side to score a last-minute penalty and progress. The most low-key qualifier for the last four was Bayern Munich, who held off Sevilla on Wednesday. They comprise four dangerous, impressive and ambitious sides to fight it out for Europe’s top prize, but which should Jurgen Klopp and Co. be hoping for? And who do the fans want to face? We’ve detailed the biggest pros and cons of facing each side, as well as the reasons of some supporters for wanting to face them. PROS: In looking at which clubs have least recent European pedigree, the least chance of success in their domestic league and are—aside from the Reds, perhaps—the biggest surprise of the semis, Roma would be it. The Serie A side are third in their domestic table but lie a massive 21 points off leaders Juventus and still face a battle to be in next season’s Champions League. Simply put, they are the “smallest” name of the remaining sides…not that that’s really a negative, given the other three. Despite Tuesday’s heroics against Barcelona, Roma are far from invincible on home soil. They have lost six times in league play at the Stadio Olimpico, while on the road their only Champions League win this season came at Qarabag FK. Roma have also lost their last three away in Europe, to Atletico Madrid (group stage), Shakhtar Donetsk (last 16) and Barcelona (quarters). CONS: Regardless of home or away wins, the overall outcome has been that Roma topped their Champions League group and are in the semis. They finished level on points with Chelsea and clear of Atletico in the groups, and their comeback in the second leg against Barca—4-1 down from the first leg, 3-0 up in the last minutes of the second—was a story of legend. 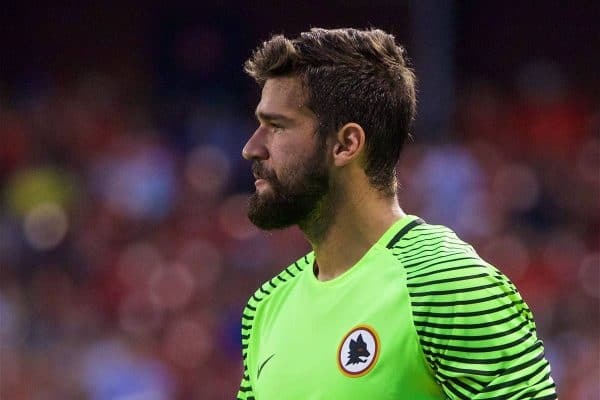 Individually, Roma have some incredible talent from back to front, starting with a man well-known by now to Reds fans: goalkeeper Alisson. Radja Nainggolan, Daniele de Rossi and Kevin Strootman present a formidable barrier in midfield. Elsewhere, Edin Dzeko has 20 league and Champions League goals, Cengiz Under has been a breakout star and the centre of the park is packed with aggression and experience. 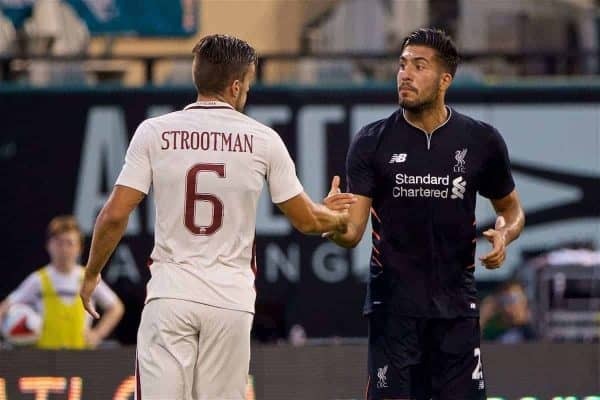 It has to also be acknowledged that as much as Liverpool fans feel we’re on a roll and have a great chance after knocking out City, Roma supporters will have exactly the same mindset after their own unexpected progression. PROS: They’re one of Europe’s few sides who often have the league title wrapped up early—and that’s already the case this term. While that marks them out as the strongest in the Bundesliga, the question has been of whether that lack of competitive edge later in the season sees them fall short in Europe. It’s not proof, but a possibility. There’s the Jurgen Klopp aspect to consider, too: would the former Borussia Dortmund boss love to mastermind a victory over any club more than Bayern? 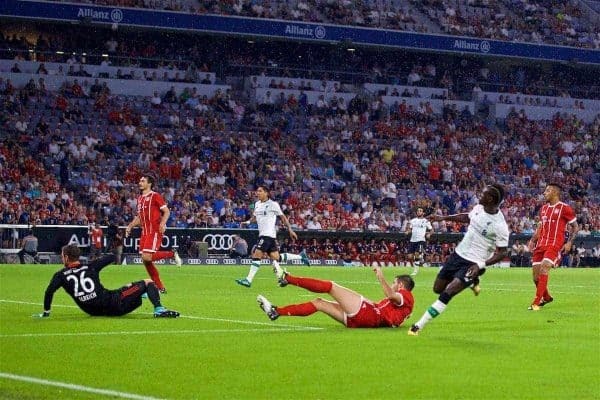 In terms of Liverpool’s players, they shouldn’t be particularly overawed or surprised heading to the Allianz Arena, having played there twice in pre-season—and won against Bayern. It should also be acknowledged that Bayern’s run to the semis has been comfortably the easiest of all; they’ve not really had a big challenge since facing PSG away in the groups. They lost that, 3-0. Since finishing second in their group they beat Besiktas in the last 16 and Sevilla 2-1 on aggregate in the quarters. 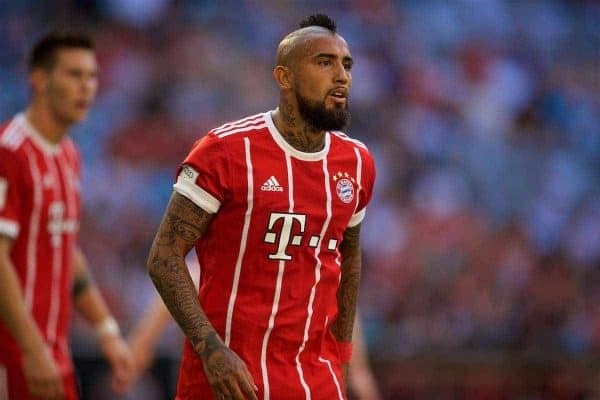 CONS: Big tests or not, it’s undeniable that Bayern are a monster side, used to winning and with an iron-clad mentality which demands success. Their mid-season managerial change was a turning point; Bayern went 18 unbeaten in all competitions earlier this season and have lost just once in all competitions since mid-November. 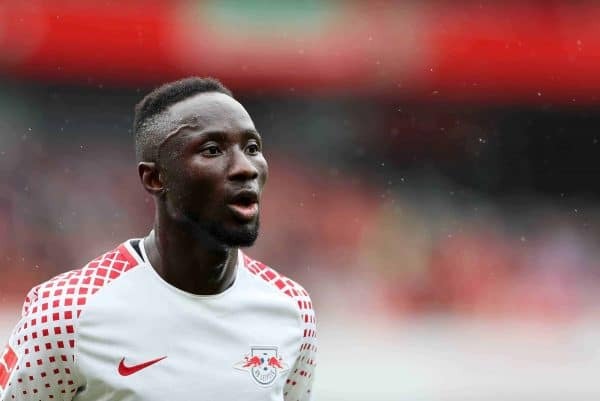 For what it’s worth, that defeat came via a goal and an assist from Naby Keita. The squad is packed with elite talent, even with Sven Ulreich in goal instead of Manuel Neuer. Robert Lewandowski, James Rodriguez, Arjen Robben, Thiago, Joshua Kimmich…it’s a complete, deep and impressive squad. Maybe Madrid, for the glory, but Bayern for the Klopp beef would be epic. Bayern, we can beat them over two legs. Roma can take care of RM if they carry their momentum from knocking out Barca. I don't want to play one off matches against RM, Bayern, they have too much recent pedigree. Hopefully Roma in the final. PROS: Of all the teams left in, Real Madrid are the side with the most erratic defence. All season long, and indeed in previous campaigns, they continually make errors of judgement, are found out of shape and concede soft goals. Manager Zinedine Zidane doesn’t seem to fully trust a handful of players in his squad, sticking with the same names regardless of performance, which can make it difficult for Real when they are absent. Pairing with Real Madrid would really be a battle of European royalty, given the history of both sides, and it wasn’t that long ago the Reds won at the Santiago Bernabeu. Like Roma, Madrid aren’t winning their domestic title this year, currently sat fourth in La Liga, though that will only focus their attentions even more on Europe. The other potential positive is the Madrid crowd: they don’t appreciate their team being anything less than perfect and will quickly turn on the players if things aren’t going their way. CONS: There’s one rather obvious con to playing Real Madrid: They are the reigning European champions for a reason. They are, in fact, champions of Europe from three of the last four seasons. As shaky as the defence is, their offensive power is ridiculous, they always seem to find a way to goal, somehow. And when they get a chance, they invariably take it. In Cristiano Ronaldo, it is a different level of goalscorer to face. Forget Sergio Aguero’s impressive goal record, forget even Robert Lewandowski’s goal-plundering. 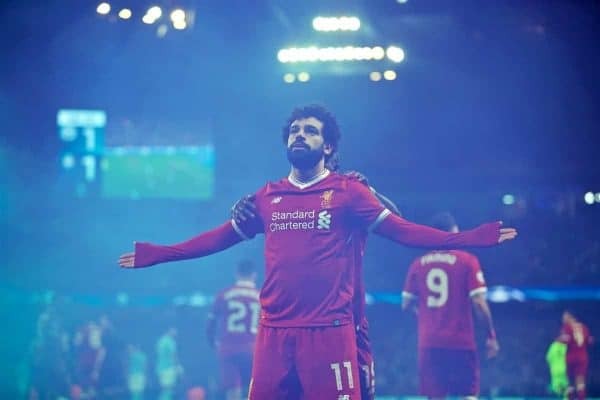 Yes, even forget Mohamed Salah‘s own incredible debut Anfield season. Cristiano is another type entirely, a relentless robot who has hammered in 40, 50, 60 a season for most of the last decade, who has more goals than games for Real Madrid. And he’s ending the season in absurd goalscoring form: 25 goals in his last 14 games. And it isn’t just him. 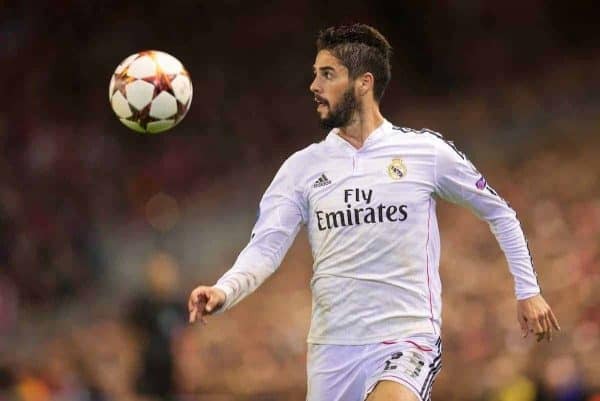 Isco is a match-winner, Gareth Bale can be unstoppable, Toni Kroos can split a defence in an instant and Marcelo is wing-back, elite crosser, complete playmaker. Sergio Ramos, most culpable for Madrid’s defensive mistakes in positioning and decision-making, is also probably the best one-vs-one centre-back on the entire planet. The danger comes from all areas, that’s why they win. Madrid. Have to beat the best anyway so get it out of the way earlier! Madrid. They are too arrogant to prepare for a team like us. Over two legs they will be surprised in one. That should be enough!